THE KERMAN RUG - The heart of urban, royal Persian carpet-weaving. Kerman is both a city and a province, a renowned center of rug-making in southeastern Iran. The region's tradition is an old one, dating perhaps to the 15th century, and certainly to 17th, by which time Kerman had not only established itself as the premier weaving capital of Persia, but had even earned the royal patronage of the Safavid Dynasty. To have been a center of Safavid production lends tremendous weight to the region’s past, but nevertheless understates the true age of Kerman’s weaving tradition. 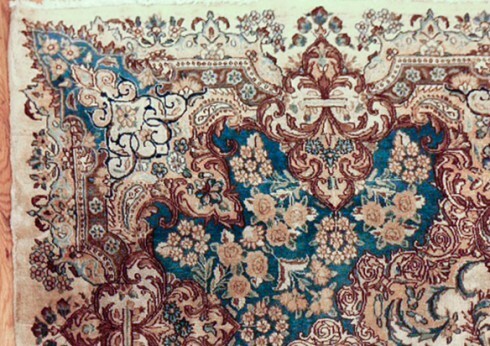 Before the production of Persian rugs even took root, Kerman had been famous for centuries for its wool textiles, particularly its intricately-patterned, vividly-colored cashmere shawls. The city of Kerman is itself is a stunning place, a walled oasis in the midst of the Kavir-e Lut Desert, surrounded by the snow-capped peaks of southern Iran. Its history stretches back at least one thousand years, and this is evident in the many stories told about its past. 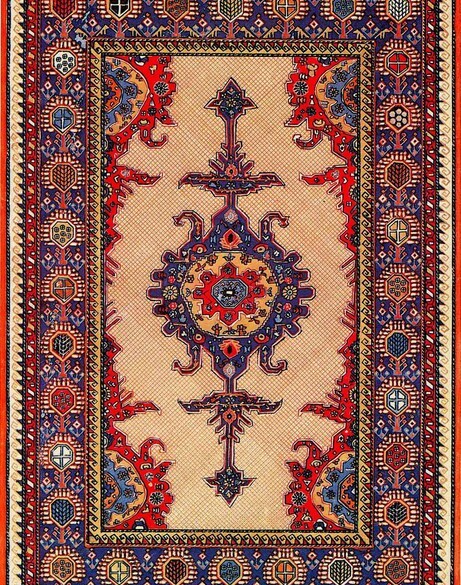 It is said that the first westerner to see and spread the word of Kerman’s famous rugs was an Italian named Marco Polo. These are first and foremost city carpets, refined and sophisticated, produced in the most advanced workshops by the region’s most celebrated weavers. In the 18th and 19th centuries, Kerman rugs were woven in the city of Kerman itself, but also in outlying province workshops, as international demand increased until production tapered off in the early 20th century. Today, many of these individual workshops--among them Dilmaghani, Costigian--are known by name. Elegant, restrained, complex: the vocabulary used by experts and collectors to describe Kermans invariably distinguishes them as high examples of urban, royal Persian carpet-weaving. Produced for wealthy patrons, they are often room-sized. As a rule, they belong to the floral Persian rug tradition, and patterns are famous for their dense, intricate curvilinear motifs, flawlessly executed, with extraordinary complexity. The colors are striking. In classic Persian reds and blues, vines climb across subtle ivory and cream backgrounds. The rugs are particularly well known for their exceptionally full, complex color palette, a seeming infinity of hues cleanly defined. It's a remarkable feat of craftsmanship, achieved not only with high technique, but also with the finest raw materials: Kerman is well-known for its Carmania wool, with which all its 18th and 19th century models were produced. As for the dying process itself, it too was unique, as dyes were frequently added to wool before spinning, resulting in subtle new shades and textures. Exceptionally elegant, and constructed as decorative art, these are nevertheless durable rugs, typically woven on a tough cotton foundation. 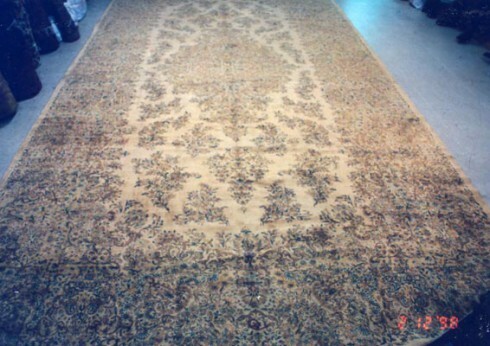 Tensile strength and resistance to abrasion have allowed many antique Kerman rugs to survive in remarkable condition. Today, Kerman’s 17th century Safavid rugs are regarded as masterpieces of the form. 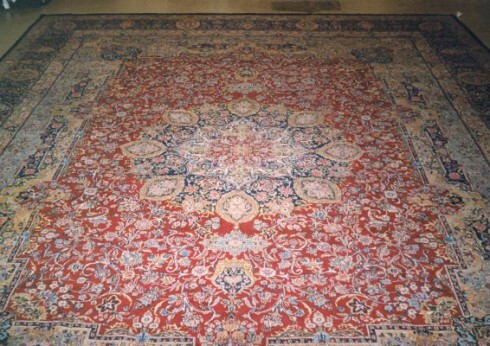 They are found in museum collections, and are among the most highly valued Oriental carpets in the world. Most rugs we refer to today when speaking of antique Kerman carpets are of the later 18th and 19th century origin, though certainly draw on the region’s ancient tradition. These, too, are major carpets with a well-documented and storied history, and they remain in highest demand.